The 70-646 Real Practice-Lab will provide you the necessary platform to gain hands on skills in Windows Server 2008 R2. By completing the lab tasks you will improve your practical skills in server deployments, file & print, server management, monitoring & maintaining servers and application & data provisioning. Becoming proficient in these tasks will also help you understand the objectives and competencies required by the Pro: Windows Server 2008, Server Administrator certification exam. Using the Real Practice-Lab to its full potential will help you develop your skills in either becoming an enterprise server or domain administrator or help you develop your current skill level. Once you have used the lab for either 25 / 50 or 100 hours we will acknowledge this achievement by issuing you a certificate. This can be validated by potential employers or managers alike. Server Deployment: The exam objectives for the 70-646 are based on planning and designing solutions for enterprise server and domain administrators. Like any task of this nature you need to understand the benefits and drawbacks of each option before delivering the best solution for any given requirement. Using your Real Practice-Lab servers you have the ability to test all aspects of server deployment and because you can reset your servers quickly and easily you can change your configuration as many times as you like. This is ideal when testing the components for automated server deployment, infrastructure services server roles, application servers and services and file and print server roles. Server Management: The exam objectives for the 70-646 are based on planning and designing solutions for enterprise server and domain administrators. Like any task of this nature you need to understand the benefits and drawbacks of each option before delivering the best solution for any given requirement. Using your Real Practice-Lab servers you have the ability to test all aspects of server management and because you can reset your servers quickly and easily you can change your configuration as many times as you like. This is ideal when testing the components for server administration, delegated administration and group policy strategies. Monitoring and Maintaining Servers: The exam objectives for the 70-646 are based on planning and designing solutions for enterprise server and domain administrators. Like any task of this nature you need to understand the benefits and drawbacks of each option before delivering the best solution for any given requirement. Using your Real Practice-Lab servers you have the ability to test all aspects of monitoring / maintenance and because you can reset your servers quickly and easily you can change your configuration as many times as you like. This is ideal when testing the components for security patch management, server performance evaluation and optimization and monitor / maintain security policies. Business Continuity and High Availability: The exam objectives for the 70-646 are based on planning and designing solutions for enterprise server and domain administrators. Like any task of this nature you need to understand the benefits and drawbacks of each option before delivering the best solution for any given requirement. 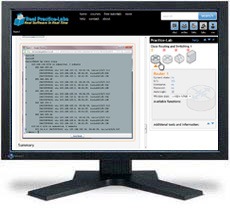 Using your Real Practice-Lab servers you have the ability to test all aspects of recoverability and because you can reset your servers quickly and easily you can change your configuration as many times as you like. This is ideal when testing the components for HA options and backup and recovery.